Yamaha was caught testing a new bike which looked like the next version of the currently available Yamaha FZ 150cc motorcycle. We know that Yamaha will get to India the MT-03 but this spied motorcycle isn’t that. 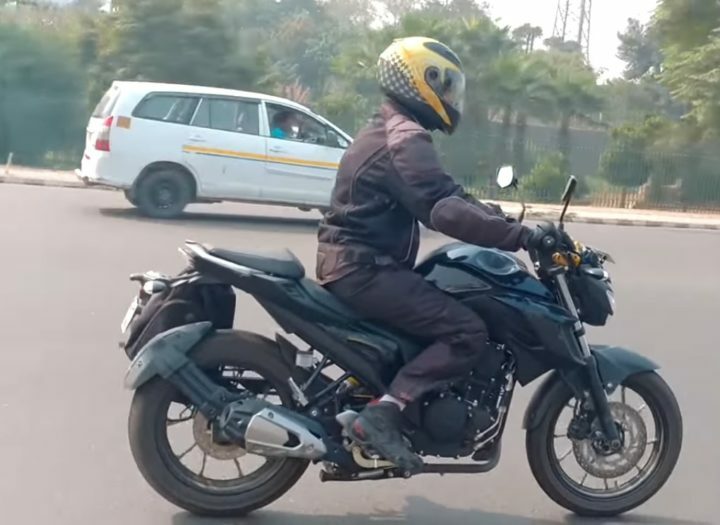 What looks like a big brother of the FZ 150, we believe the spied motorcycle will be a 200/250cc motorcycle which will fall right in between the Yamaha FZ 150 and the YZF R3. This motorcycle will be manufactured in India and may also be exported to other countries during the later stages. Design of the new 200/250cc motorcycle from Yamaha is similar to that on the FZ. 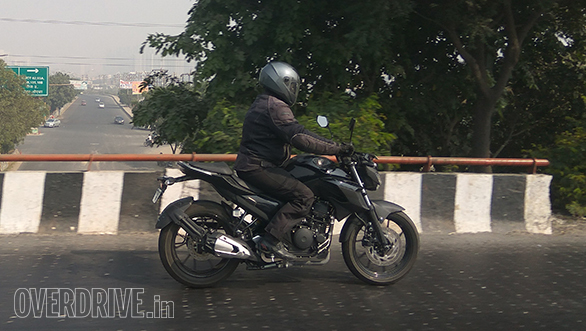 As seen in the spy shots, it looks like an elder brother of the Yamaha FZ-150. It maintains a muscular tank but gets tank extensions with a matte black finish. 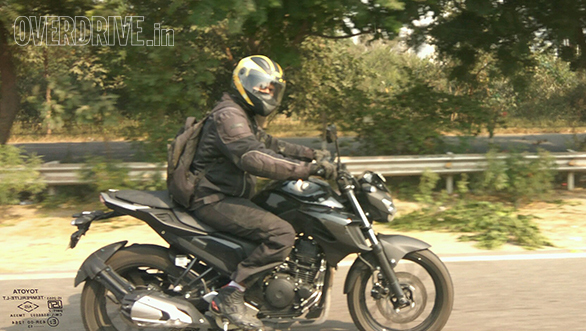 Split seats, silver grab rails and the exhaust looks similar to that on the current FZ 150. Seen with telescopic front suspension and a mono-shock in the rear, re-designed rear hugger and a new headlamp setup adds to the design of the motorcycle. LED headlamp, LED tail light and fully digital instrument cluster was also seen on the motorcycle. Not sure of what the engine is, we expect it to be a 200/250 cc engine producing upwards of 22 horses. We can say from the spy shots that it will not be a liquid cooled engine but will be air/oil cooled. Disc brakes both in the front and rear was seen on the bike and they looked liked the ones currently offered on Yamaha motorcycles in India. 2017 is going to be a great year for motorcycle enthusiasts in India with a lot of launches headed towards us. Spied motorcycle from Yamaha looks like a production ready model and expect this to be one among the many launches happening in 2017. Yamaha should play smart in pricing this motorcycle well in order to compete against the segment leading KTM Duke 200 and the Highway master, Mahindra Mojo. Follow us on Facebook, YouTube and twitter for more news.